I love my bike, originally uploaded by [Zakkaliciousness]. It's a love affair. I admit it freely. There has been murmurs from the readers about starting a Readers' Bikes section. I have one in my inbox which is wonderful. How about this. 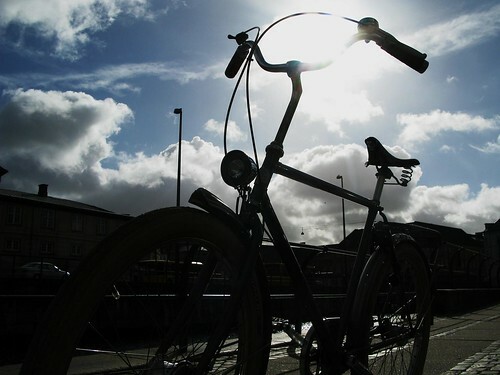 Send me a photo [or a link to Flickr if you're on it] and tell me a story about your bike. The story is important. When you bought it, how you found it and rescued it from certain scrap metal death, how you fell in love on it, whatever. Get sentimental. Let's see if it works.